This week, U.S. Commerce Secretary Penny Pritzker traveled to China, where she made a stop in Shanghai ahead of the Strategic and Economic Dialogue (S&ED) starting today in Beijing. 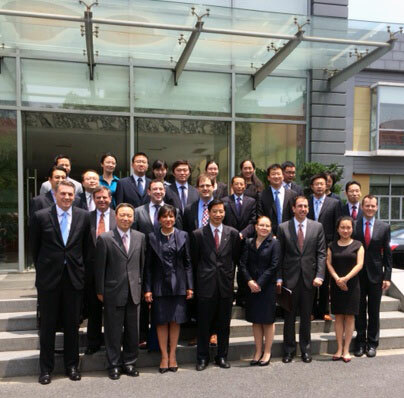 At a roundtable with American Chamber of Commerce in Shanghai on Tuesday, Secretary Pritzker met with a number of CEOs and business leaders from companies doing work in China. They discussed the business climate in China and ways the Department of Commerce can be effective in helping companies expand opportunities in China. Secretary Pritzker also discussed her visit to the Shanghai Free Trade Zone on Monday, as well as the upcoming S&ED and what she hoped would get accomplished during the upcoming talks. Secretary Pritzker also met with the Commercial Service Officers at the consulate in Shanghai. The Commercial Service (CS), part of the Commerce Department’s International Trade Administration (ITA), plays a vital role in helping American companies start exporting or expand their reach into international markets. CS helps U.S. businesses overcome trade barriers, find global business opportunities and partners, and attract investment to U.S. shores. As part of President Obama’s deliberate decision to deepen U.S. engagement with Asia, Secretary Pritzker has been working to strengthen commercial ties with the region. In April, she delivered remarks at the John Hopkins University’s Paul H. Nitze School of Advanced International Studies (SAIS), outlining the Administration’s focus on strengthening the U.S.-Asia economic relationship. There, she also announced ITA’s plans to expand its presence in fast-growing markets in Asia and Africa and to open offices in five new countries, including its first in Burma. Then last month, Secretary Pritzker led a commercial diplomacy mission to Vietnam, the Philippines and Burma in conjunction with a delegation of U.S. CEOs and the U.S.-ASEAN Business Council, underscoring U.S. government support for high-level private sector engagement in the Asia-Pacific region. This week’s trip to China builds on these efforts to promote U.S. businesses and strengthen economic ties in the Asia-Pacific region. As part of her week-long commercial diplomacy mission to Asia this week, U.S. Secretary of Commerce Penny Pritzker met today with supporters of Burma’s transition to democracy and the ongoing national peace process. At a roundtable with Burmese civil society leaders, she took the opportunity to learn more about the complexities of political and economic reform and to hear their concerns and views about future challenges for Burma. In her remarks at the roundtable, Secretary Pritzker affirmed the United States’ commitment to supporting positive political and economic reforms in Burma. She urged the Burmese government to build on that progress by implementing measures that increase inclusive economic development and promote government transparency and accountability. Noting that a strong and vibrant civil society is critical to institutionalizing reforms and ensuring government accountability, Secretary Pritzker applauded the efforts of Burmese civil society leaders to advance citizen interests in pursuit of democracy. The Commerce Department takes these issues very seriously. Since 2010, training in human rights, rule of law, and corporate social responsibility has been mandatory for Foreign Commercial Service Officers. Attention to these critical social issues not only strengthens the Department’s culture, but enhances its ability to support American companies as they expand overseas. As the first-ever U.S. Commerce Secretary to visit Burma, Secretary Penny Pritzker today encouraged Burmese leaders to continue making positive political and economic reforms to bolster U.S. private sector interest in the region. Secretary Pritzker met Burmese President Thein Sein and discussed the ways our two countries can continue working together to improve the U.S.-Burma commercial relationship. 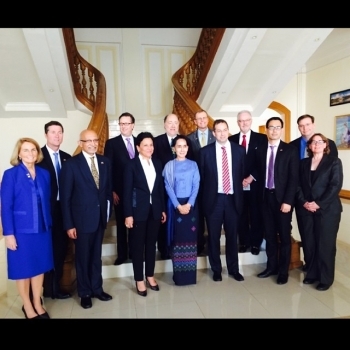 Pritzker also met with Vice President Nyan Tun and various Burmese ministers and outlined ways in which the Commerce Department can help Burma increase trade with U.S. firms. She reassured the Burmese leadership that U.S. businesses want to be part of the solution as countries across the region look to support a growing middle class, develop world-class infrastructure, unleash sustainable energy, and invest in their futures. U.S. companies have made significant investments in the ASEAN region, which reached nearly $190 billion in 2012. That is more than U.S. investment in all of the BRIC countries (Brazil, Russia, India, China) combined. ASEAN investment into the U.S. exceeds $27 billion and investment has grown over 1,400% and has increased 169% since 2001. The Asian Development Bank (ADB) estimates Burma’s GDP growth accelerated to 7.5 percent in 2013, and expects that growth to continue. As the economy in countries like Burma continues to open, there will be expansive opportunities for U.S. companies to export more goods and services, supporting the modernization and development that will improve the quality of life for citizens. 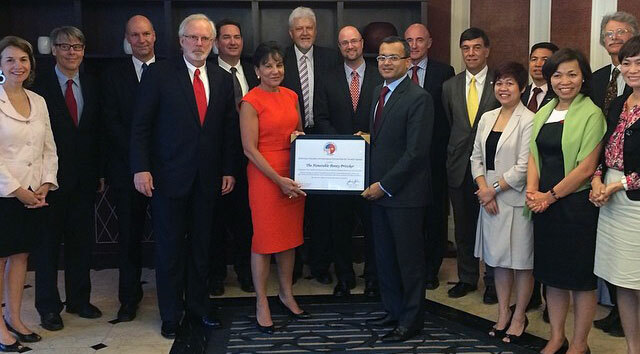 Secretary Pritzker was joined by a delegation of U.S. CEOs and the U.S.-ASEAN Business Council. Earlier this week, the delegation visited Vietnam and the Philippines where Secretary Pritzker met with government and business leaders and entrepreneurs to discuss the Commerce Department’s priorities for increasing trade and investment in the region. Secretary Pritzker’s trip to the Asia-Pacific region demonstrates the importance of the region to the Obama Administration and the U.S. business community, and our shared commitment to increasing U.S. commercial activity with countries in the ASEAN region. 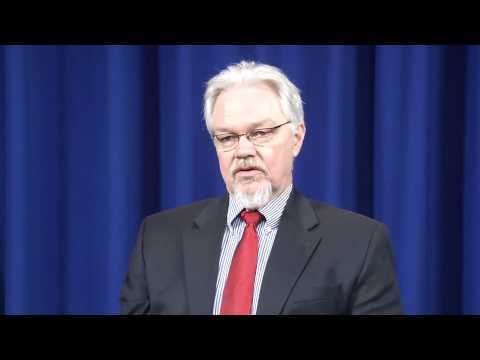 Mike McGee, Senior Commercial Service Officer in Bangkok, Thailand discusses opportunities for American Businesses in Burma. As part of a week-long commercial diplomacy trip to the Asia-Pacific region, U.S. Secretary of Commerce Penny Pritzker is in the Philippines to demonstrate the Obama administration's ongoing commitment to Asia. Along with members of the U.S.-ASEAN Business Council (USABC) and a delegation of U.S. CEOs, she is visiting the country to strengthen trade and investment and encourage deeper business-to-business ties. The United States and the Philippines share a $24 billion per year trade relationship, one that was further bolstered by President Obama’s recent trip to the country in April. 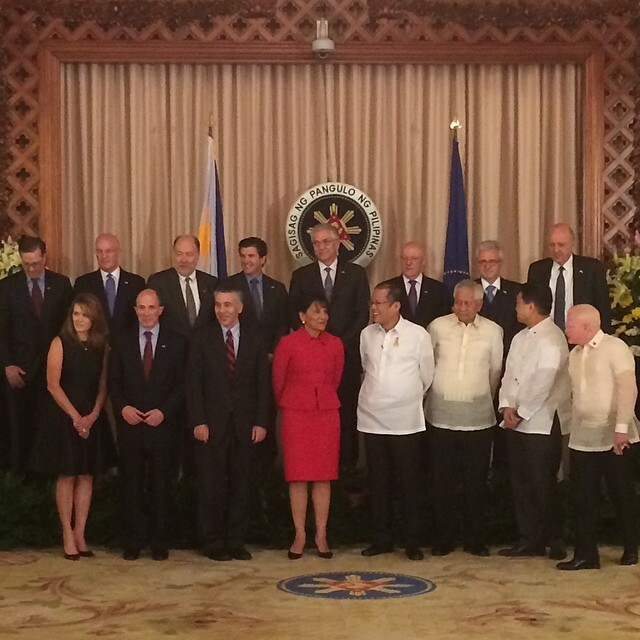 Today, Secretary Pritzker met with Philippine President Benigno Aquino III, and yesterday with Philippine Secretary of Trade and Industry Gregory Domingo and Finance Secretary Cesar Purisima, to build on that strong U.S.-Philippine relationship. Secretary Pritzker congratulated President Aquino for his successful leadership and commended both Secretary Domingo and Secretary Purisima on the Philippines’ recent economic accomplishments and reforms, which have resulted in strong growth. In fact, the country has doubled its GDP growth rate from 3.6 percent in 2011 to 7.2 percent in 2013. In addition, Secretary Pritzker noted that the already strong trade relationship between the Philippines and the United States has continued to grow, with U.S. exports to the Philippines increasing over the past year. During the meetings, Secretary Pritzker reaffirmed the United States’ commitment to the country and the ASEAN region and discussed opportunities for U.S. companies to support the Philippines’ infrastructure development needs, including the Clark International Airport. She also talked about outstanding U.S.-Philippine trade issues and steps the country could take to become an even more attractive destination for U.S. investment. Yesterday U.S. Secretary of Commerce Penny Pritzker was in Vietnam on the first leg of her Asia commercial diplomacy trip. Along with the U.S.-ASEAN Business Council (USABC) members and a delegation of U.S. CEOs, she is visiting Vietnam, as well as the Philippines and Burma later this week, to strengthen trade and investment and encourage deeper business-to-business ties and demonstrate the Obama administration's ongoing commitment to Asia. As part of this trip, Secretary Pritzker met with several government leaders to discuss opportunities for U.S. companies to do more business in Vietnam. This afternoon Secretary Pritzker met first with her counterpart Vu Huy Hoang, the Vietnamese Minister of Industry and Trade. The Secretary and the Minister discussed of ways to increase economic engagement between the US and Vietnam, specifically speaking about the investment climate for US firms and trade relations relations and the United States’ commitment to concluding the Trans-Pacific Partnership (TPP) negotiations. Secretary Pritzker and Minister Hoang then met with the USABC CEO delegation and talked about the U.S. private sector’s commitment to Vietnam. Secretary Pritzker then met with Vietnamese Prime Minister Nguyen Tan Dung and reaffirmed President Obama’s commitment to opening a new phase of bilateral relations with Vietnam. After discussing outstanding bilateral economic, trade and investment issues, the leaders were joined by the USABC delegation for a conversation about enhancing commercial ties between the United States and Vietnam and throughout the ASEAN region. The United States is committed to its commercial relationship with Asia. The U.S. economic engagement strategy in the Asia-Pacific region has three key pillars: strengthening partnerships with long-established trading partners, helping develop the “hard” and “soft” infrastructure that moves goods and people, and building and strengthening regional mechanisms that promote a level playing field for all of our businesses. Recognizing that there is tremendous opportunity for mutually-beneficial growth in the Association of Southeast Asian Nations (ASEAN) region, the Commerce Department is focused on strengthening the trade relationship between the U.S. and ASEAN, and encouraging even deeper business-to-business ties. As part of these efforts, next week U.S. Secretary of Commerce Penny Pritzker will join a delegation of U.S. CEOs and the U.S.-ASEAN Business Council on a trip to Vietnam, Burma, and the Philippines. These economies present enormous opportunity for U.S. businesses, and the trip is a huge step not only in furthering commercial ties, but also in advancing our overall relationship. From Vietnam, the delegation will head to the Philippines, where Secretary Pritzker will deliver remarks on America’s economic engagement in the Asia Pacific region, as well as meet with government and business leaders. The economy in the Philippines has shown much resilience despite tragic natural disasters and volatile financial markets. Economic growth has been consistent during the last two years and is projected to remain so through 2016. Reconstruction efforts could lead to acceleration in the economy and present business opportunities for American companies with experience in sectors like construction and infrastructure. The trip will wrap up with a final stop in Burma, where Secretary Pritzker will affirm the United States’ support for positive political and economic reforms in meetings with civil society leaders, government officials, and the Burmese business community. The Asian Development Bank (ADB) estimates Burma’s GDP growth accelerated to 7.5 percent in 2013, and expects that growth to continue. Business confidence also is improving, as reflected in a rapid increase in new business registrations – both domestic and foreign-owned. As the country develops, it is well positioned to leverage modern technology available from U.S. firms. U.S. exports to Burma have ranged from electrical machinery, optical and medical equipment, vehicles, and other machinery. As the economy continues to open in Burma, there will be expansive opportunities for U.S. companies to export more goods and services, supporting the modernization and development that will improve the quality of life for Burmese citizens.